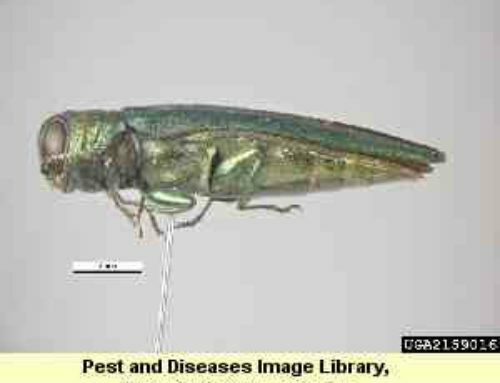 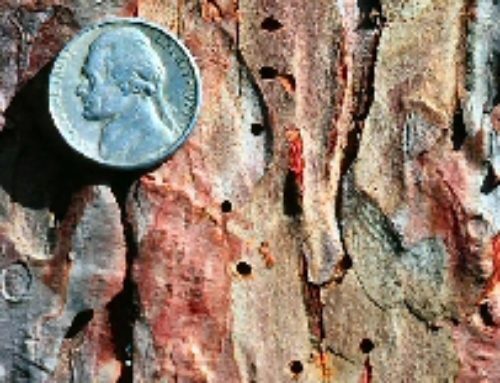 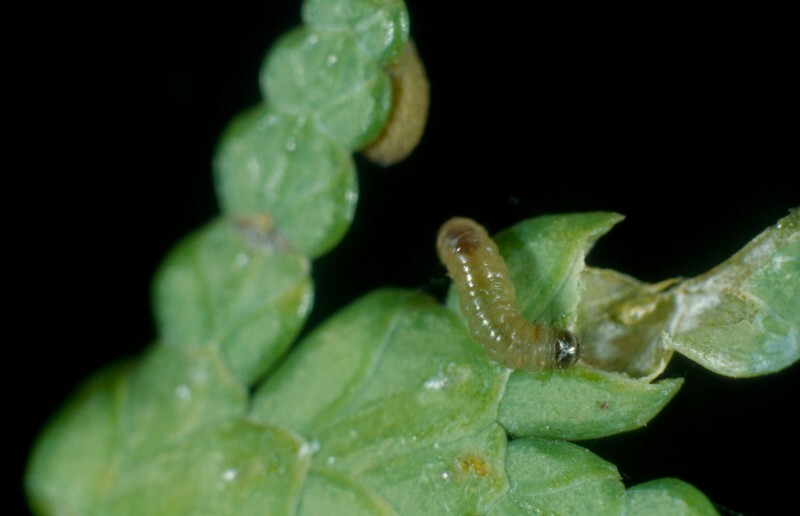 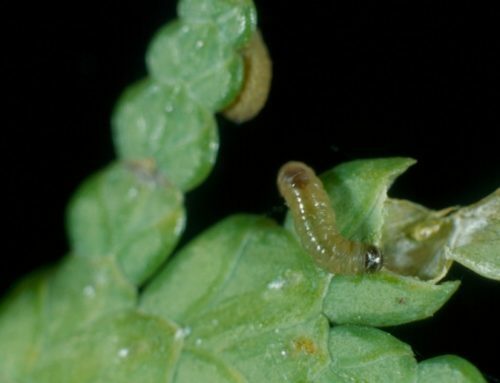 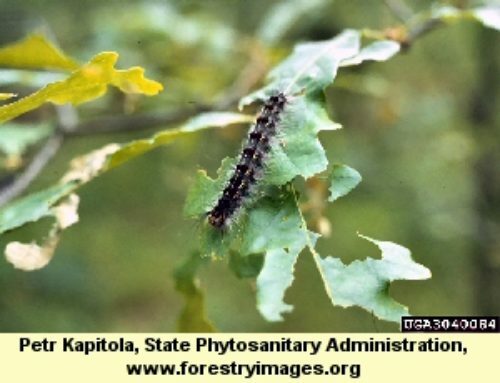 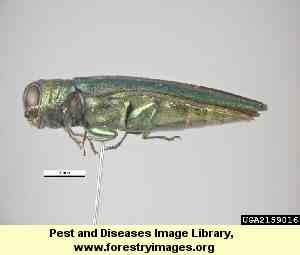 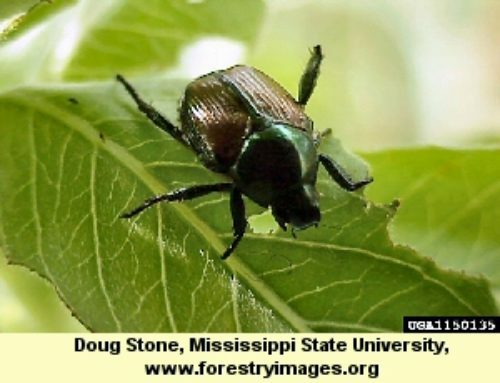 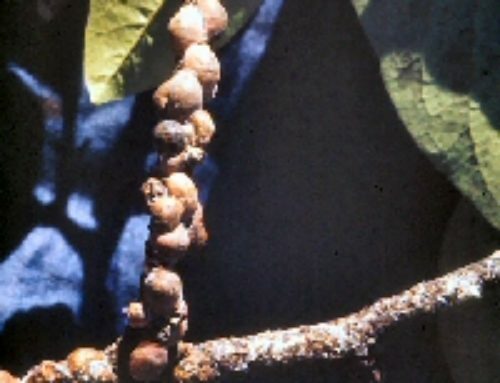 This is the most common and most serious pest found on euonymus. 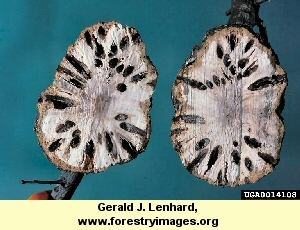 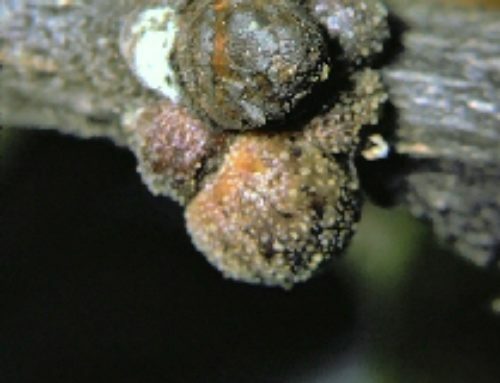 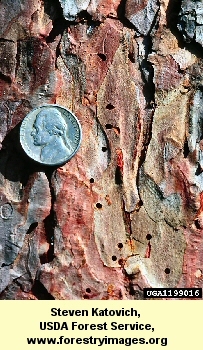 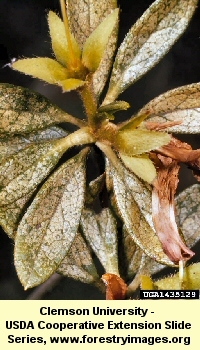 The protective armor covering of an adult female euonymus scale is dark, oyster-shaped and about 1/16th inch in length. 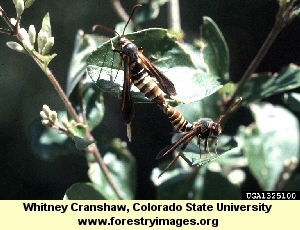 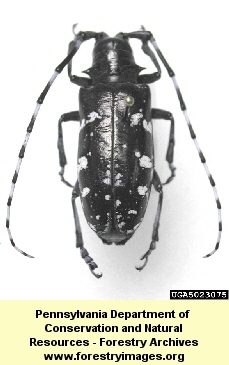 Adult males are very small, winged insects that leave their narrow, white armored covering for mating. 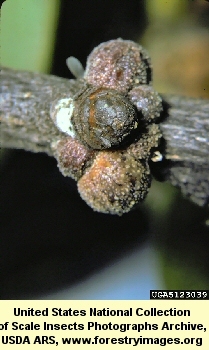 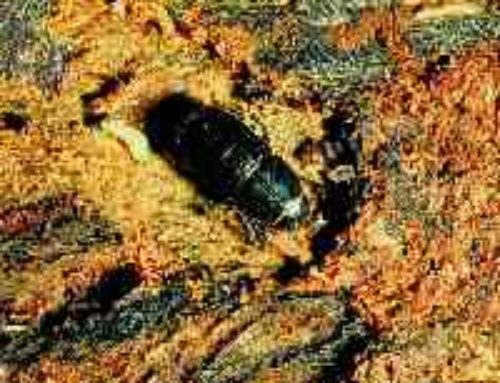 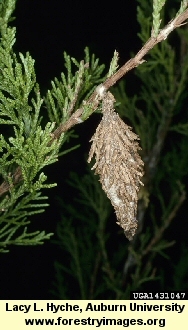 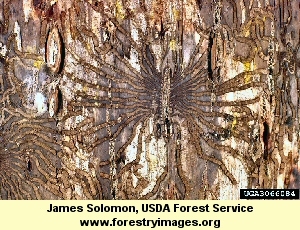 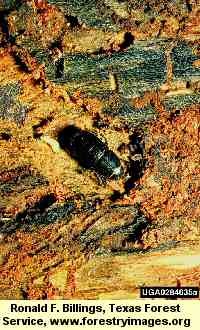 The eggs laid by the female are yellow and found beneath the female’s covering. 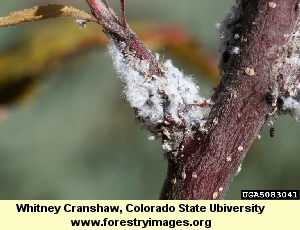 When the eggs hatch, the crawlers (immature forms) move around before forming their own protective covering. 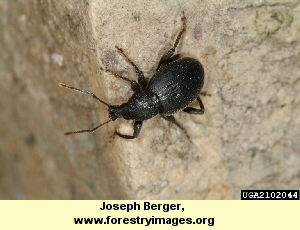 Males typically outnumber females. 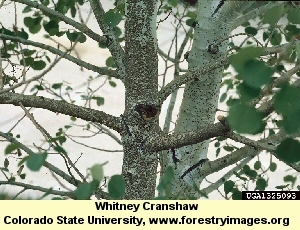 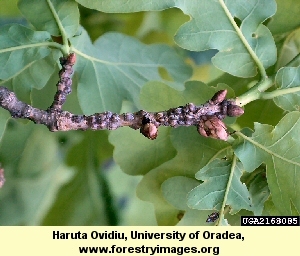 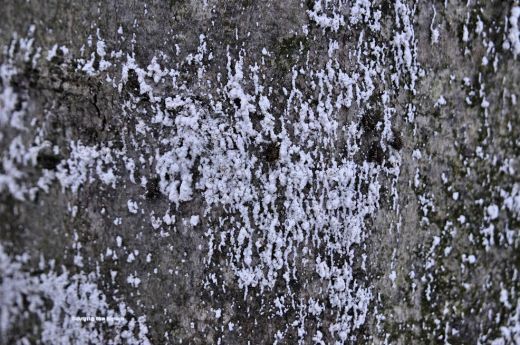 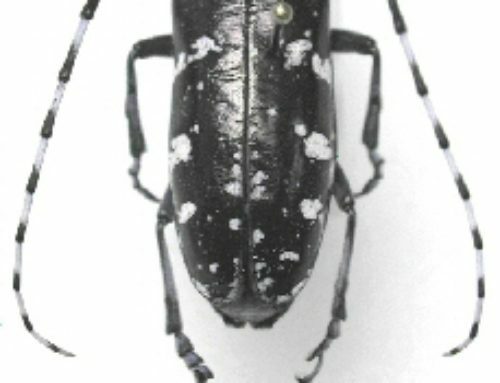 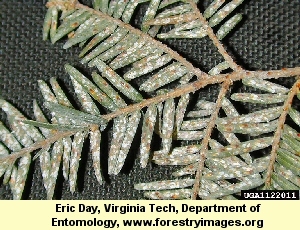 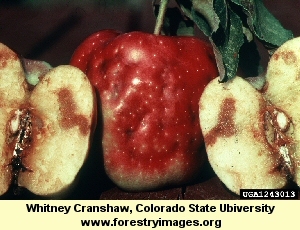 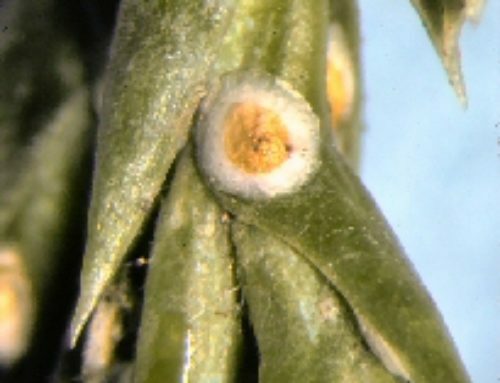 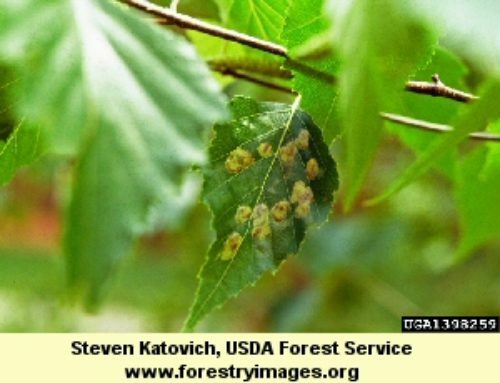 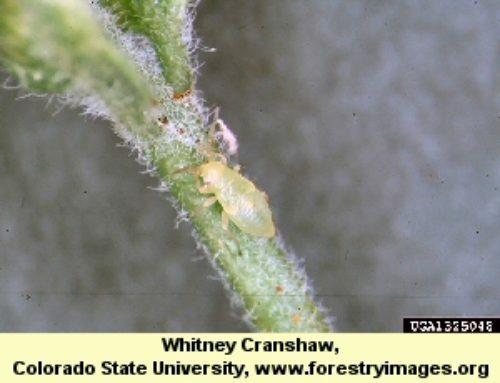 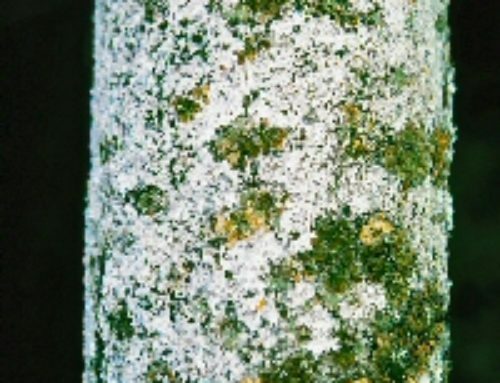 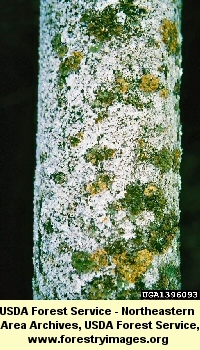 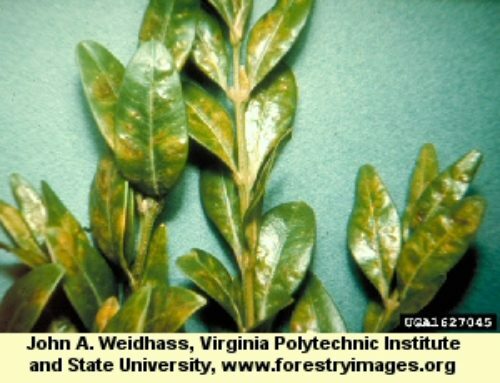 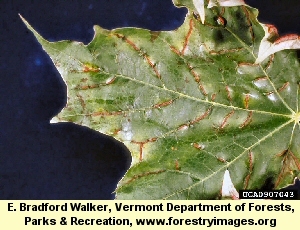 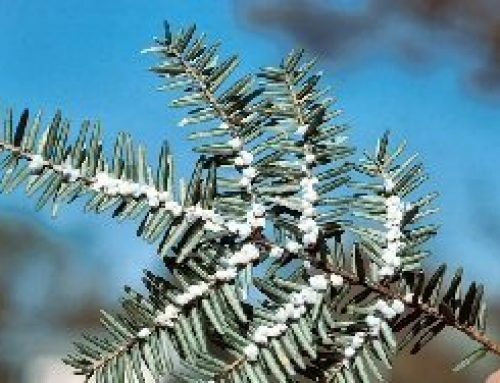 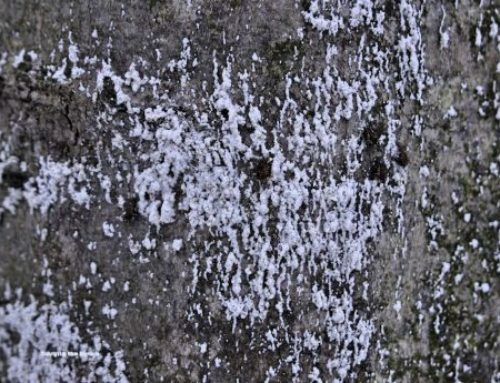 With a heavy infestation, clusters of white males can be easily seen on leaves and stems. 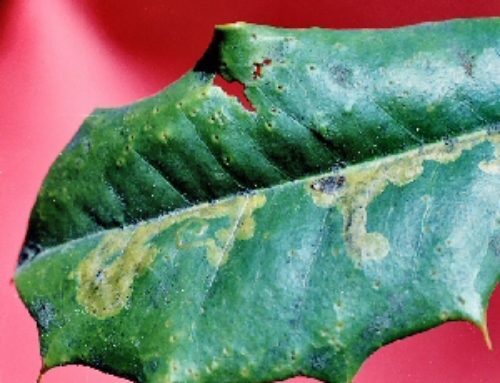 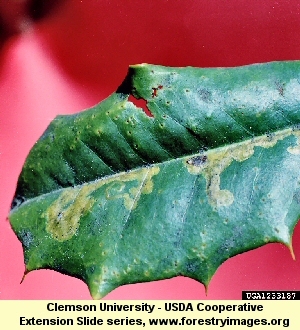 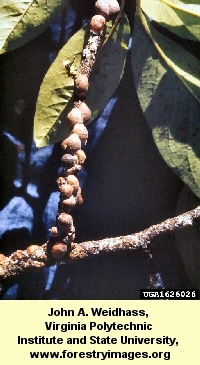 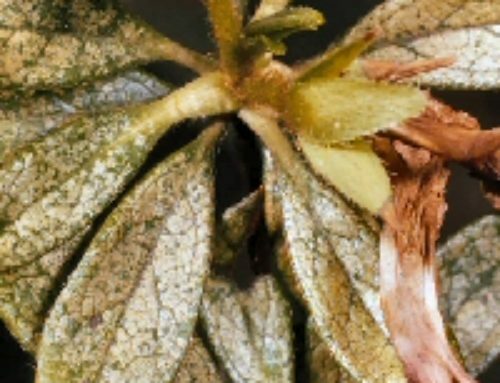 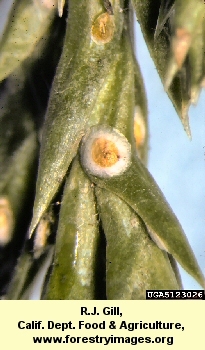 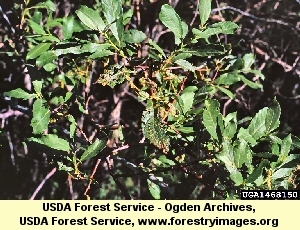 Initial symptoms of euonymus scale infestation are yellow spots on leaves. 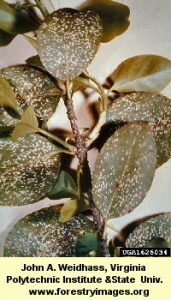 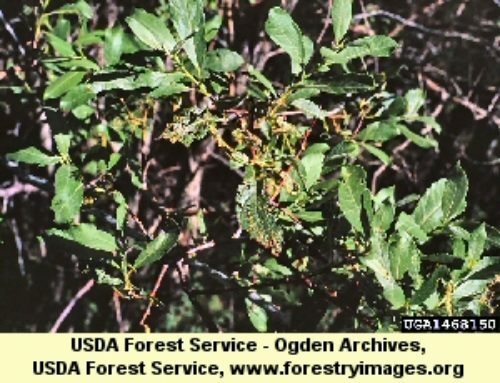 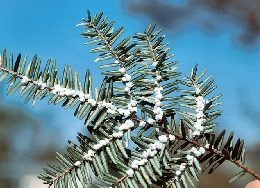 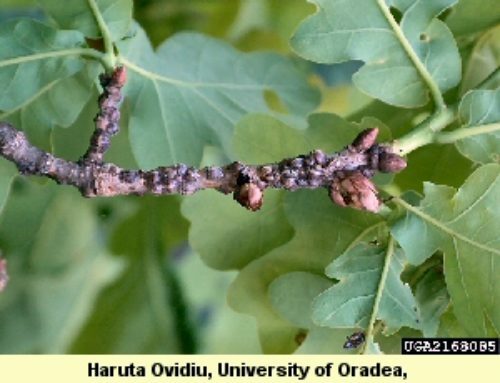 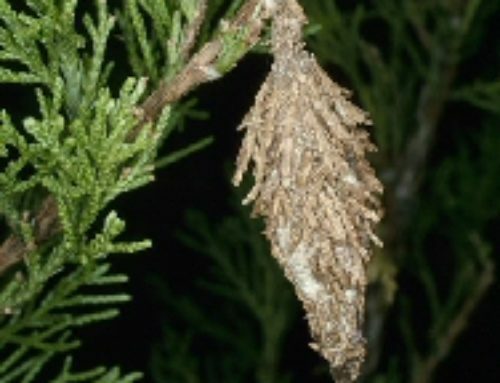 With a heavy infestation, branches and possibly the entire plant may die.